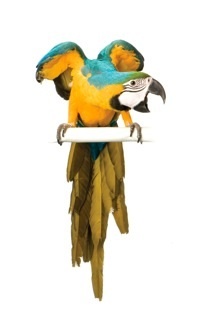 Lynne Singerman is the Ambassador at Adventures in Birds and interviewed Jean Jordon the owner of Adventures in Birds upon the anniversary of her 30th year in the “Business of Birds” to uncover the huge changes that have occurred in the pet bird industry since 1980. Part 1 of this interview appears in our December 2010 print publication. This post is the interview in it’s entirety. The bird business was and is interesting and entertaining and has benefited from the expertise and big heart of Jean Jordon for the last 30 years. I recently had the pleasure of interviewing Jean, the owner of Adventures in Birds. Lynne: What was the business of birds like 30 years ago? Jean: The world has changed a great deal in the last 30 years. I started in 1980 breeding cockatiels and parakeets. Soon people started requesting larger birds. The only way to get larger birds at that time was to purchase the “wild caught”. Wild caught meant that babies were taken out of their nests or trapped. Often the trappers would simply cut down a tree that had been the nesting site for generations of birds, to reach a single nest. These young birds were imported by the hundreds of thousands and the vast numbers made the price of exotic birds very cheap. The Trappers sold to Importers; Importers sold to Brokers; Brokers sent birds to Quarantine. The government controlled quarantine sites were located around the country and the birds had to survive there a month. No one knew the correct diet or the type of cage that would work for each species, and many birds that were not sick died of stress during quarantine. When the month of quarantine was over the birds could be purchased but even healthy birds were dirty, scared and malnourished. Choosing birds from this collection was slow and sad. 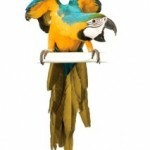 Lynne: Would these birds be delivered right away to their new owners? Jean: No indeed! Even the good ones that we selected were a mess! Dirty, malnourished and terrified of everything. We kept them in our home/shop often for months to get them healthy and somewhat tame. Only then would they go home to the clients who requested them. Lynne: When did the restriction on all imported birds take place and what happened them? Jean: The problems grew and by 1989, 869,000 exotic birds were captured. Of those captures only 461,000 lived to be imported into the United States. Another 17,471 died on arrival and another 48,279 birds died while in quarantine. Our government was also concerned about bird diseases crossing our borders. The exporting countries were concerned about the depletion of their bird populations. Everyone interested in birds recognized the serious shortcomings of the wild caught bird trade and the need for change. Laws would soon be passed to legally close the borders to all exported birds. Lynne: When did people start to breed locally? Jean: People concerned about the future of our bird population began rushing to gather pairs. Breeding programs had to be established in the States. We knew the species would stop being available unless enough breeding programs were established and successful. Everyone knew the borders needed be closed but… everyone was panicked that it would happen too soon! Jean: In 1992 all importation of birds was banned! Importation of wild caught birds ended! Breeding programs sprung up all over the country. The locally bred birds proved to be much healthier and, most importantly for pet owners, the baby birds could be hand feed. Lynne: Why was hand feeding important? Jean: Hand fed babies are not afraid of people and they even seek out human interaction. They are affectionate and great pets from the start. However, the cost in time and labor, of breeding, hand feeding and caring for the birds was a lot more costly than the old system of importation. The buying pet market was shocked by the higher prices. Lynne: When you started in the business in the 80’s were there Avian Vets to consult with? Jean: No and there was very little known. There was no commercial hand feeding formula and no formulated pellet diet or even a well-balanced seed mixture. Harts was the first one to offer a commercial parrot food but it was only seeds. The cages were made of all types of unsafe or unstable materials. Bamboo cages were popular and people would be shocked to find out that their bird had chewed up the cage and flown the coop. Metal cages containing zinc (that are poison for birds) or painted with lead paint were popular and the cages were almost always too small for the bird. No one thought to let birds out of the cage to exercise and explore. These cage bound birds often developed behaviors that were aggressive, unstable and self- destructive. Lynne: It sounds gruesome. How did any birds survive? Jean: Yes, it does sound awful but back than it was all anyone knew. However, the intense interest in birds cased a lot of research and study to be done quickly and soon the world got better for birds. Better foods were developed and made available. Baby bird formula became commercially available as well formulated pellet diet and bird nutrition was becoming understood. Cage designs came on the market that were created for the bird’s safety and health. Best of all, the breeders learned about their birds and shared that knowledge with each other and the bird loving communities. Birds’ needs became better understood and birds became more fun. People found their happy healthy birds more interesting than TV. The business of birds grew. We grew with it. We expanded our breeding program and grew our store as new and better products, food and toys became available. 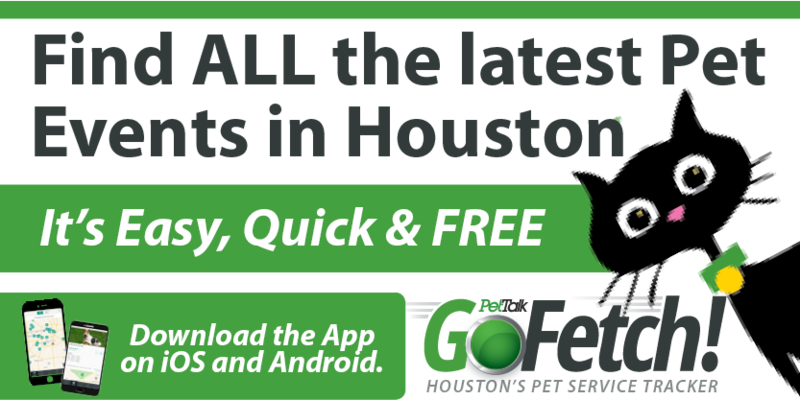 We have worked hard to provide the Houston area bird community with a wonderful assortment of healthy birds that we match to the life style and needs of the buyer. We offer support (grooming and boarding) and education on the best diet, care and environment. People loved their new companions and often came back to talk about their birds, buy a toy, or add another species to their collection of birds. I am happy to report that a half an hour later the care of the sick duck had been resolved. The bird business was and is interesting and entertaining and continues to benefit from the big heart and expertise of Jean Jordon and Adventures in Birds. This article was very entertaining and informational too. I laughed out loud at the beginning and at the end of your story. I can see why the editor asked for you to write about this store the owner sounds very special. Thank you for telling me her story! What a great article! Jean really is an inspiration to animal and avian lovers! I’m happy to say that I have a gorgeous macaw that I got from AIB. She’s just fantastic! Thank you for your dedication, Jean! You are truly appreciated!